Dear Coach, I need to eat better but I’m unsure how to begin and I get overwhelmed thinking about it. If I were to make only one change for now, what would you say is the best change to make? V.M. Dear V.M., That’s a great question! When it comes to healthy eating, some people dive in with both feet while others prefer to test the waters. The amount of benefits you reap are dependent on the amount of changes you’re willing to make, especially if you’re suffering from any degenerative disease you wish to relieve or reverse. Having said that, all change is a step in the right direction, so making one change for now is a good start. 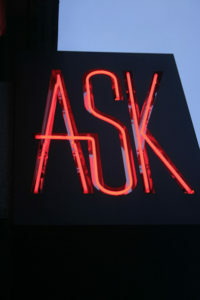 Not knowing what you currently consume each day makes it difficult to give you a specific answer. However, through my years of nutritional training I can tell you what many doctors would recommend, and why. The best single change anyone can make is to give up all dairy products (milk, cheese, yogurt, cream, butter, ice cream, sour cream, etc.). That may sound like a tall order, especially since many Americans are physically addicted to dairy (especially cheese). Let’s begin by considering the very function of cow’s milk, which is to rapidly grow a 60 pound calf into a 600 pound cow in about eight months. As such, cow’s milk contains growth hormones which are not designed for human consumption. One such growth hormone, called IGF-1 (Insulin Growth-like Factor #1), sends a signal to our cells to grow, grow, and grow. The more of this hormone in our bloodstream, the higher the risk of ‘growing’ several cancers, especially breast and prostate cancer; IGF-1 not only promotes cancer development, it helps cancer metastasize to the bones, liver, lung, brain and lymph nodes. Another major concern with dairy is the high content of phosphoric and sulfuric acids. Our blood strives to remain pH neutral (a balance between acidity and alkalinity); when we consume acidic foods such as dairy, the body must buffer that acid in whatever way possible – and it does so by drawing calcium directly from our bones to act as the buffer. Calcium released from our bones for the purpose of buffering acidity is typically excreted through the urinary tract. Many doctors refer to this as “peeing away our bones”. Convincing people that dairy is detrimental to bone health is a tough sell, since the dairy industry has convinced us for years that we need the calcium in dairy for strong bones. Yet the countries which consume the MOST dairy and calcium supplements have the highest rates of bone fracture. 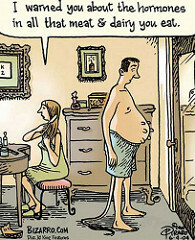 Get your calcium from whole plant foods – which is where the cows get it. 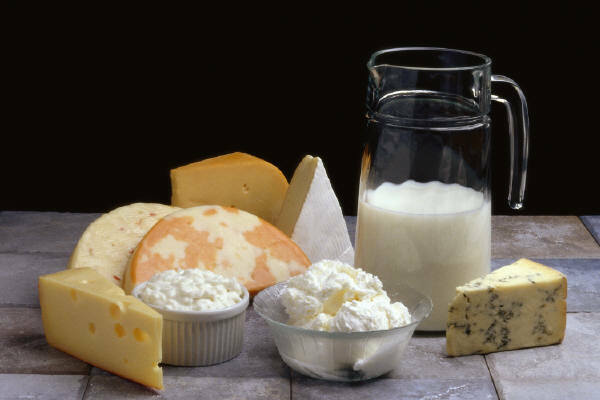 Another detriment is that dairy is high in saturated fat and cholesterol (cheese is the highest source of saturated fat in the American diet); and cheese contains a form of morphine – opiates called “casomorphins” – making it one of the most highly addictive foods. Casomorphins keep the baby calf close to its mama, and it keeps human beings close to the cheese counter. Americans now eat more than 33 pounds of cheese per person per year—three times more than they did in 1970. That’s 60,000 calories per person – mostly in the form of saturated fat responsible for raising cholesterol levels and increasing the risk for heart disease and Alzheimer’s disease. Casein – a protein found in dairy products – is a known cancer initiator. 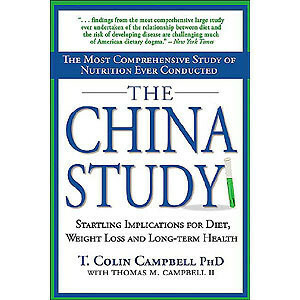 Through the research of Dr. T. Colin Campbell in The China Study, cancer cells in rats could actually be turned on or off by varying the amount of casein from 5% to 20% of calories. His research then led to a 27-year study – funded by the NIH, AICR and the American Cancer Society – which followed thousands of people in China for 27 years, revealing the undeniable evidence between animal proteins and cancer rates. Dairy foods also account for about 60 to 70% of the estrogen that comes from food. A whole host of women’s issues are related to elevated estrogen, including PMS, irregular periods, fibroids, dysplasia, infertility, cancer, hot flashes and other issues. Milk is also a common allergen that can trigger stomach distress, gout, arthritis, constipation, migraines, acne, kid’s ear infections, and much more. There are more concerns with dairy, including Bovine Growth Hormones, steroids, antibiotics, toxins, and pus cells. Dumping dairy is one of the best health decisions one could ever make. No form of cow’s milk is healthful for adults OR children. But fear not – there are delicious alternatives for everything – including easy homemade cheeses and ice creams. I’m happy to provide references, resources, and recipes; or sign up for our blog and newsletter to be informed about the next bone health class.